Hi Everyone. 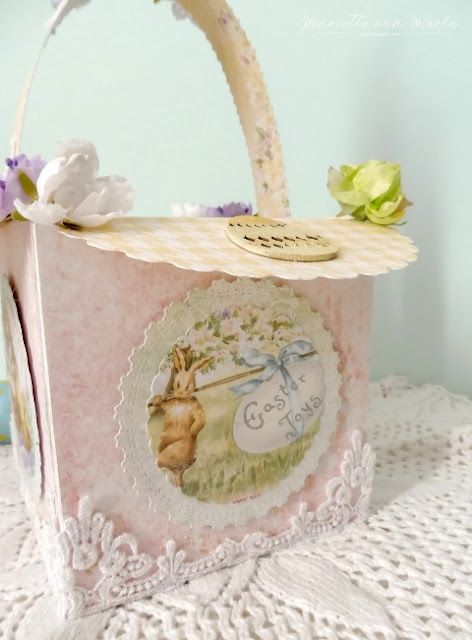 I am so excited to be asked to share a little spring project I made! 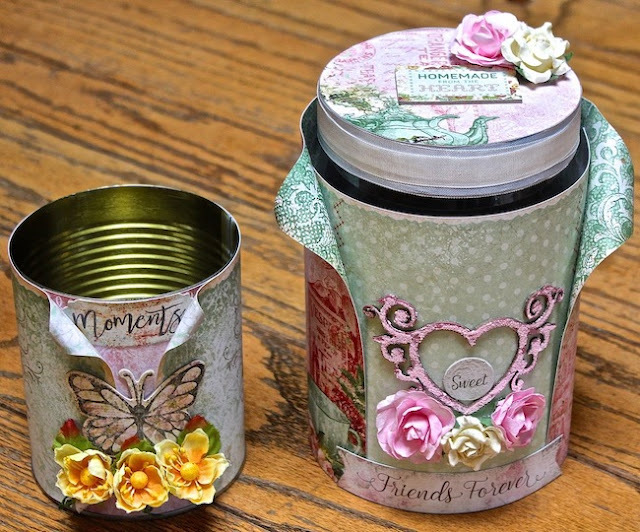 I love dimensional projects and shadow box cards are fun and easy to make. 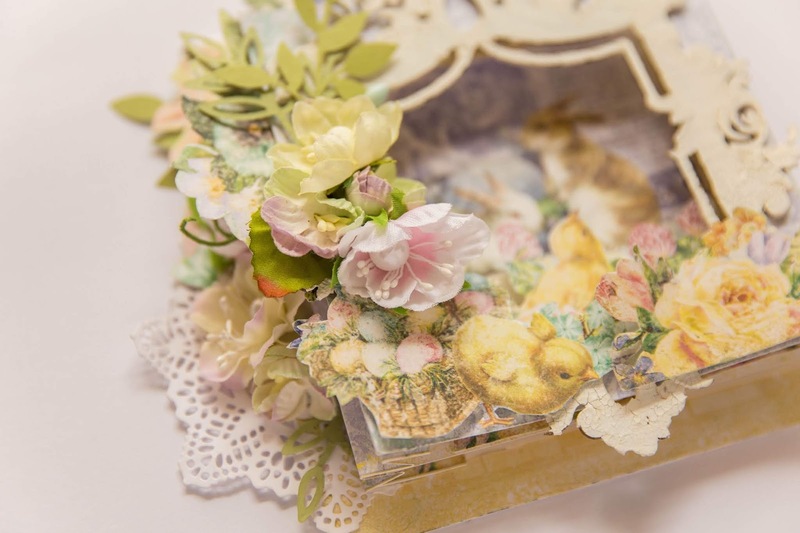 These little rabbits and chicks are the perfect images to fussy cut and add to the festive scene! 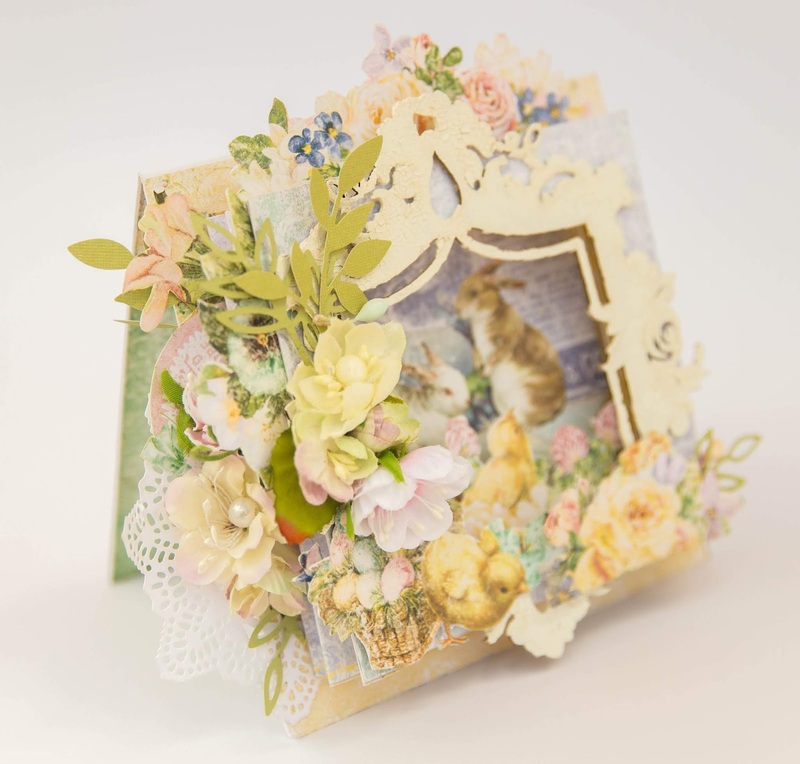 I covered the Glam Frame chipboard piece using crackle paste as a window into my scene. some around the edges to complete the scene. 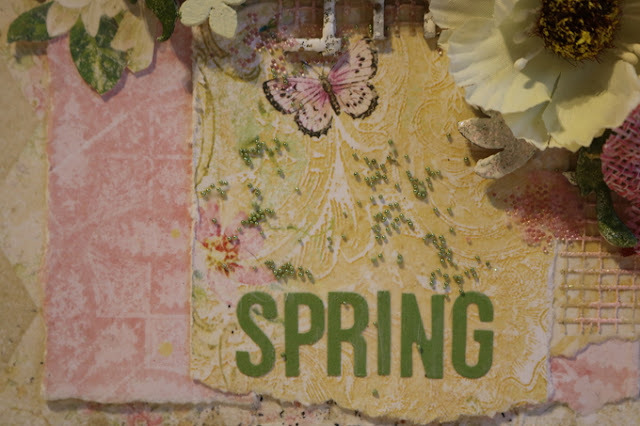 to give the project a fresh spring feel! Thanks for stopping by and checking out my little card! I just can't seem to get enough of Blue Fern's Homespun and Heartland collections, so I mixed them together! 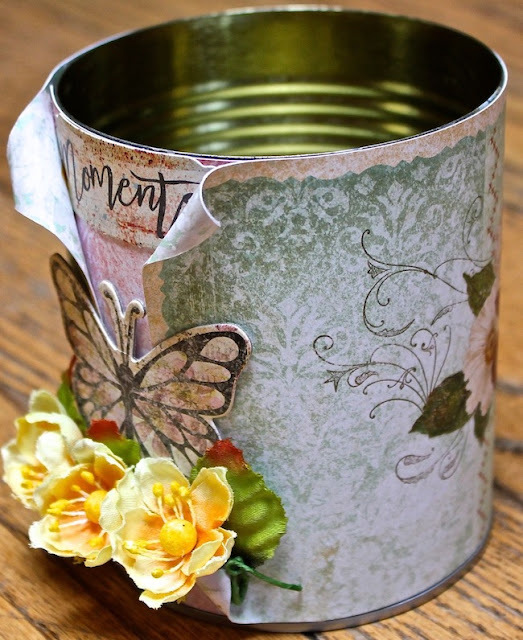 On the tomato can, I added an adhesive butterfly from the Remnants collection, Tattered walls ephemera and Blue Fern flowers too. Nothing from my stash on here... this is ALL gorgeous Blue Fern product. 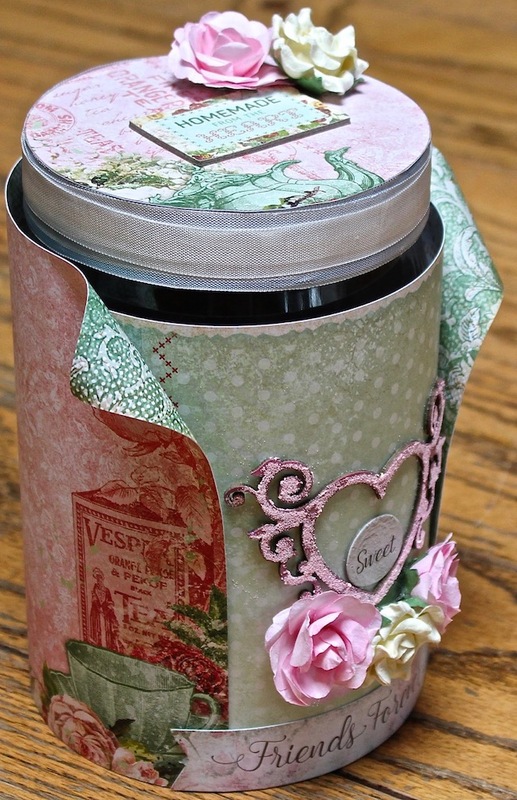 On the mayonnaise jar, Homespun adhesive shapes, Tattered walls ephemera, Blue Fern flowers, ribbon and flourish heart chipboard were added... again nothing from my stash on this project either! On the heart chipboard I inked in dark pink and then randomly glued some Blue Fern pink embossing powder on top, for a thick shabby look. Well... once again thanks for stopping by to take a peek at my projects! Hello! Good to see you here! 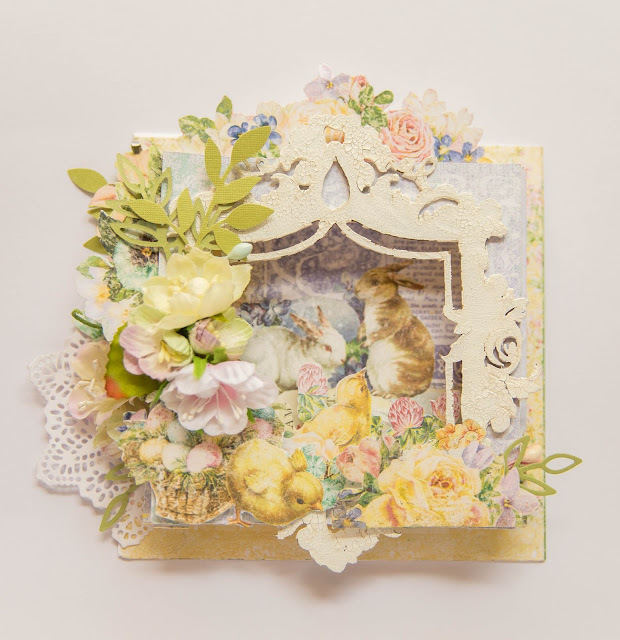 It's such a beautiful day outside it put me in the mood to share this spring layout I made. 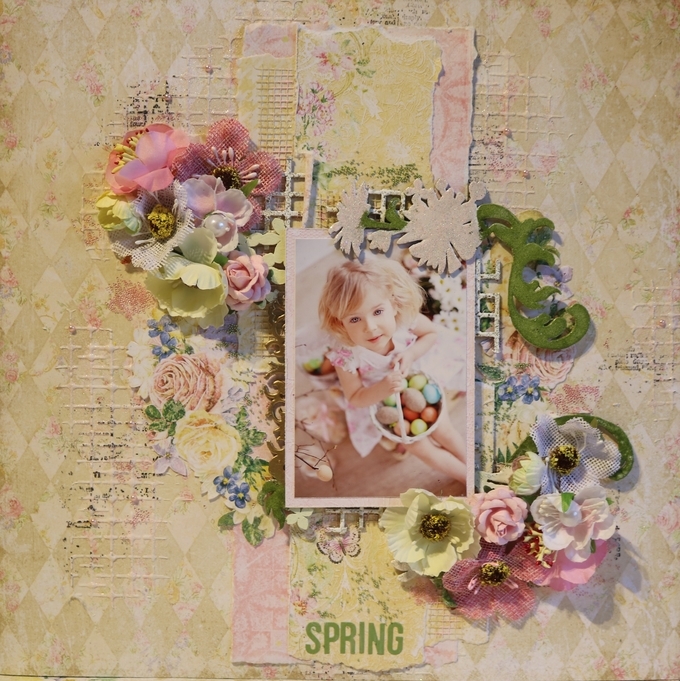 I used Spring Parade for this layout. My back ground was first given a coat of clear Gesso. I then went over it with the Mini Tile Mania Mask from TCWS and some molding paste. I then sprinkled embossing powder in it's a Girl from Blue Fern all over the molding paste and heat embossed it. 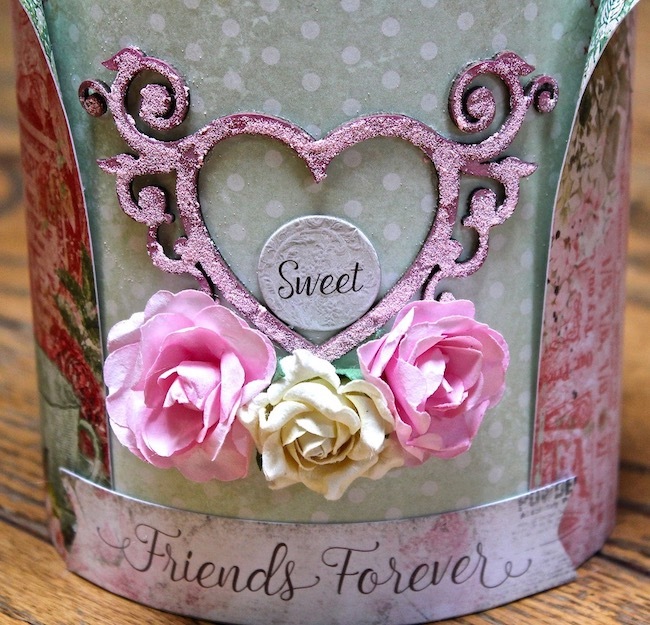 I love the way it came out!I then did very little stamping with the Tattered Newsprint Stamp and added a few small pink pearls. I layered my papers behind my photo, some in long strips others in shorter strips. On the shorter strips I added some chipboard pieces Grid Pieces and embossed them with white enamel. I also used a large piece of chipboard called Chesterville Shelf and cut it into sections to make it spread out amongst my page. I embossed this part of the shelf with It's A Girl Pink and Sage.I like layering chipboard on top of each other. Another piece of the shelf is used here as a backdrop for this flower cluster made up of a variety of Blue Fern Blooms. I also used embossed masking tape on my page for added texture. My final piece of the Chesterville Shelf was used as a border for my photo. 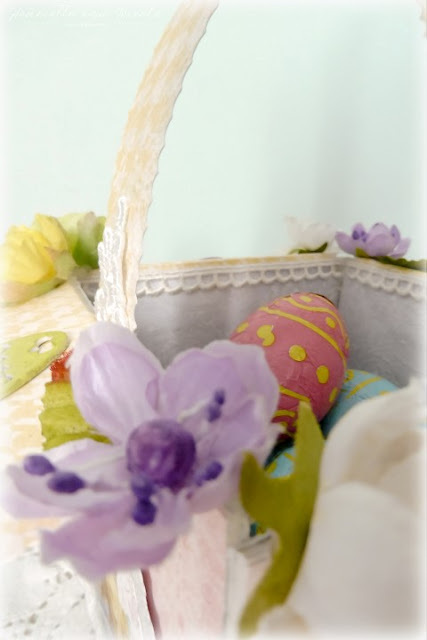 I painted the top part with the small flowers a pale yellow and then used Ginger and Sage to finish it off. Close-up of my second floral cluster using Blue Fern Blooms. You can also see more of the background work here. 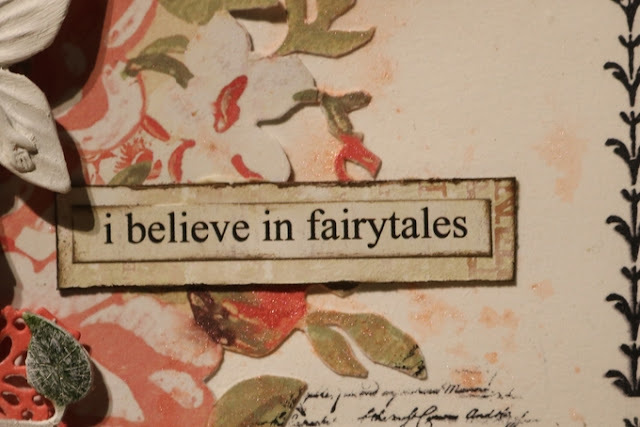 My title. 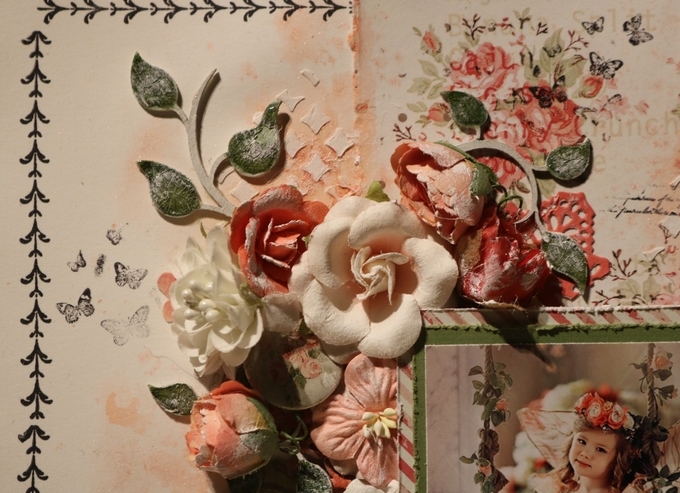 I used Seedlings throughout my page in both Meadow and Pink Topaz. Last close-up of the Pink Topaz Seedlings and some pink pearls. 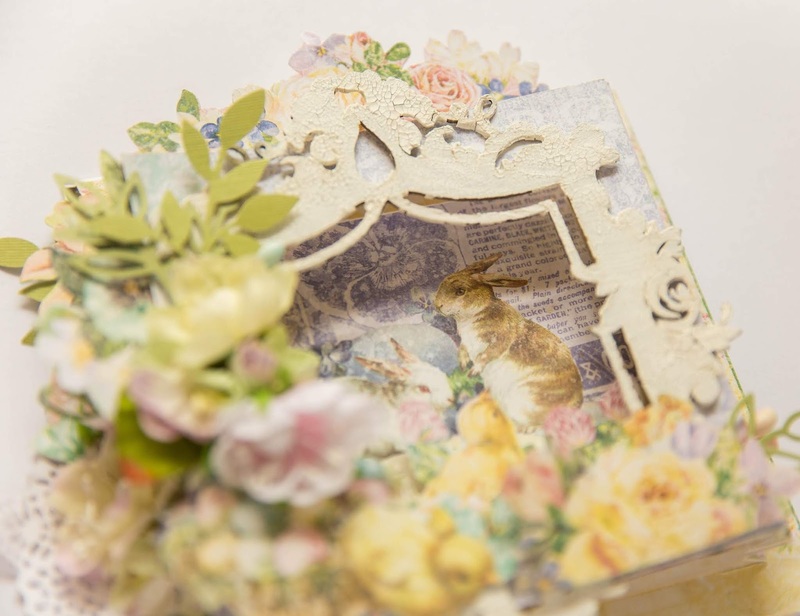 I so enjoyed working with these pastel colors it actually felt like spring just my become a reality soon! Let's keep our fingers crossed! 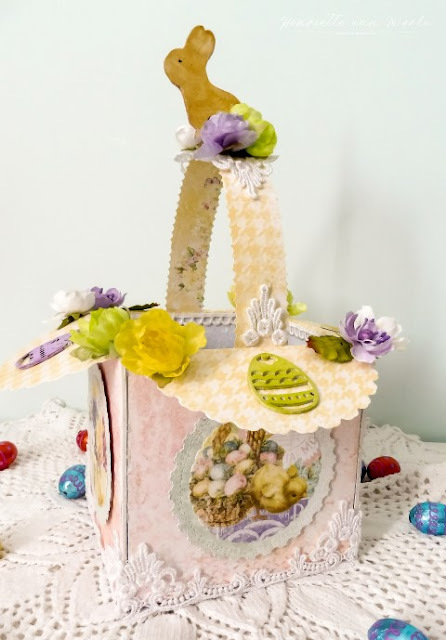 The idea for the Easter basket I got from Tara's craft studio. 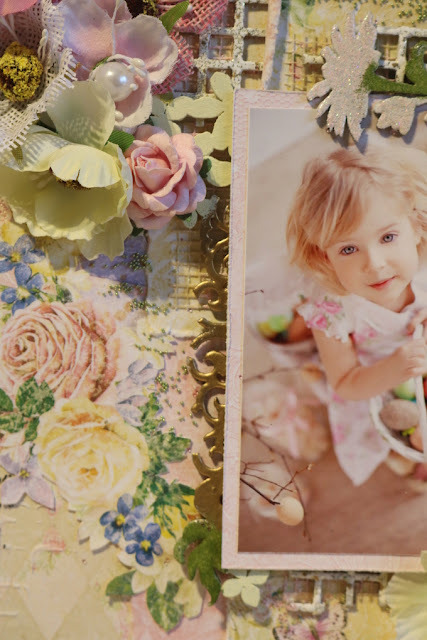 lace, flowers and chipboard pieces. 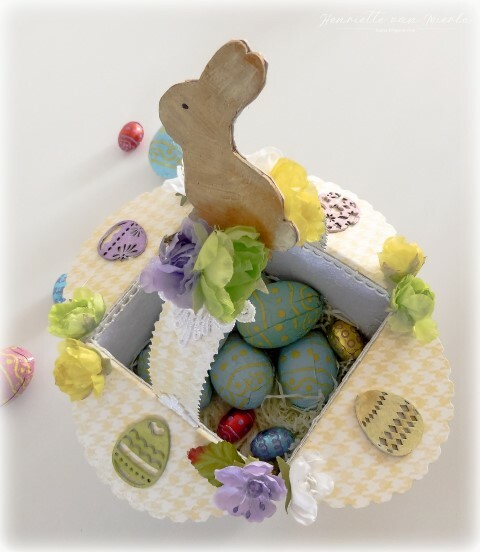 I colored the chipboard eggs and bunny with inks. 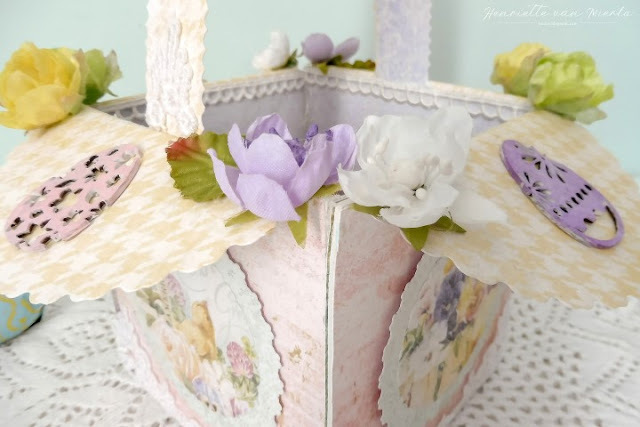 On the top corners of the basket I glued spring colored flowers. 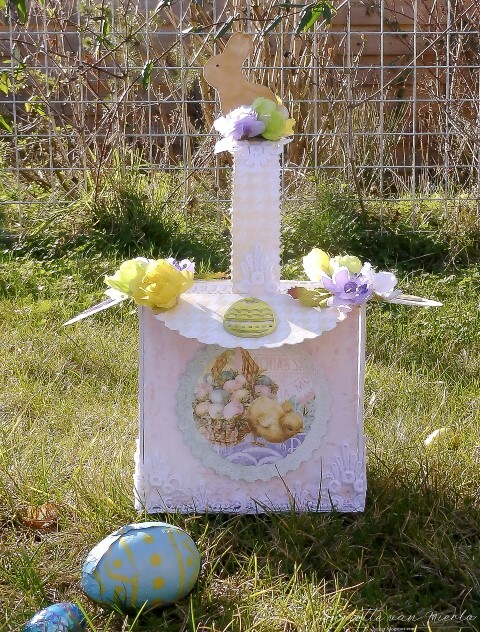 It was a fun project to make and I love the spring colors and flowers. 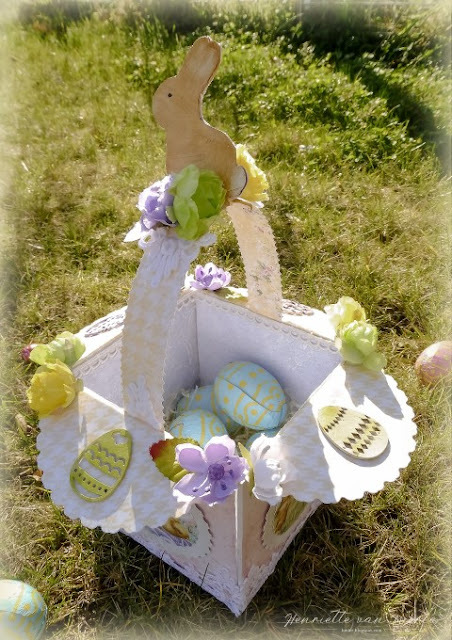 As my own daughter is to old to go egg hunting I'll be giving this basket to the neighbors children with some chocolate eggs in it. 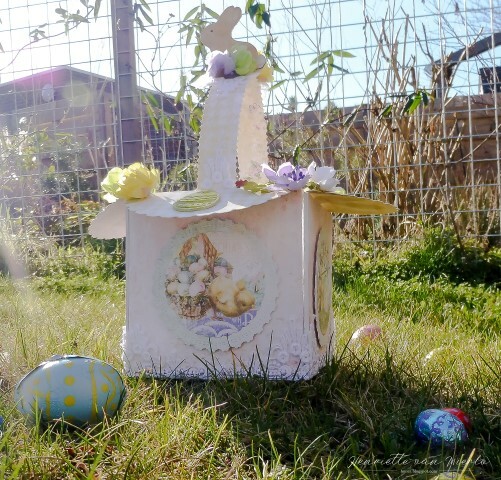 I hope you like my Easter project. There's still some time to make one for Easter. Hello all, it's Aida from @aidaville and today I'm back with a layered layout featuring the ever gorgeous Blue Fern Studios lace. If you are into shabby, pretty projects and makes, adding lace will surely give them a boost of lovely texture. I began with 6'x6' patterned paper and started building the central piece of the layout on it. 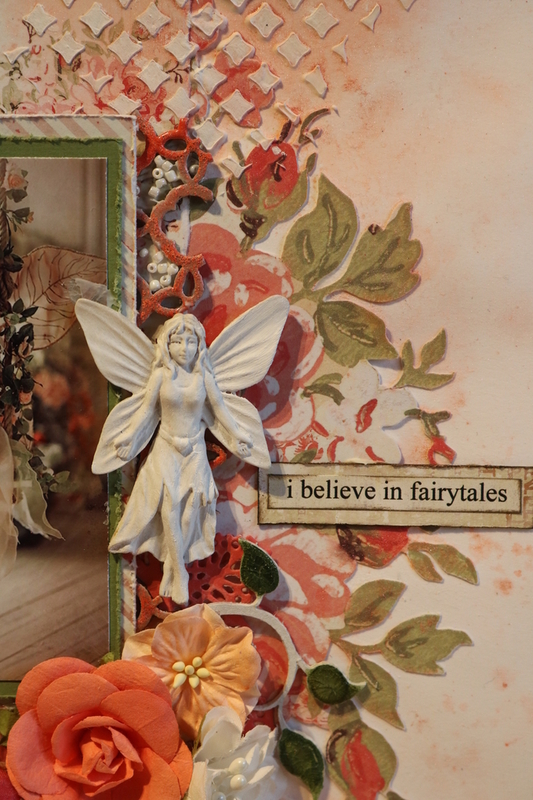 Photos should always be the focus of layouts and I chose to adhere it slightly to the left to create space for a title or embellishments. 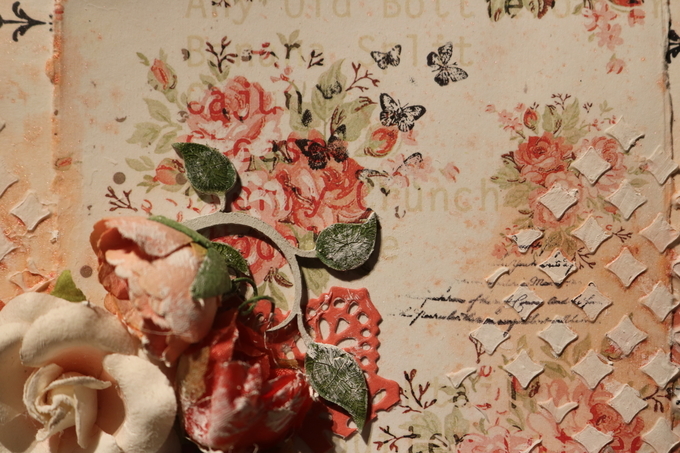 From this point, I played around with the lace pieces and florals till I was happy with how the embellishments fitted into the layout. I love the neutral colour of the lace as this makes it very easy to match the papers and florals, just look how the sewn on sequins add a touch of pretty sparkle ! 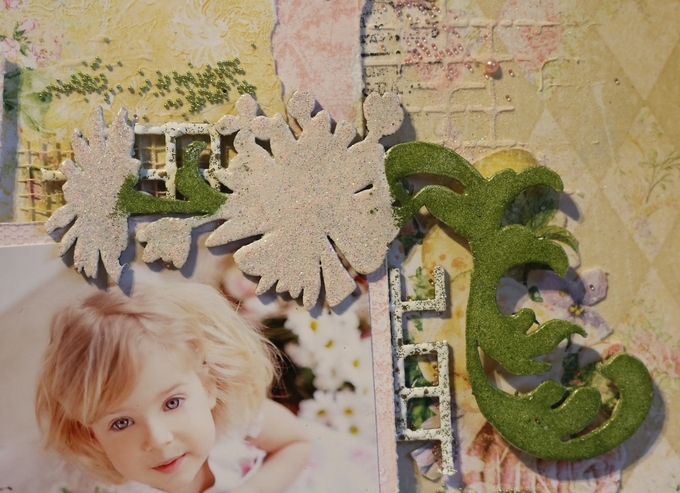 The title to the right of the photo is from the Remnants Printed Chipboard popped up with foam squares. 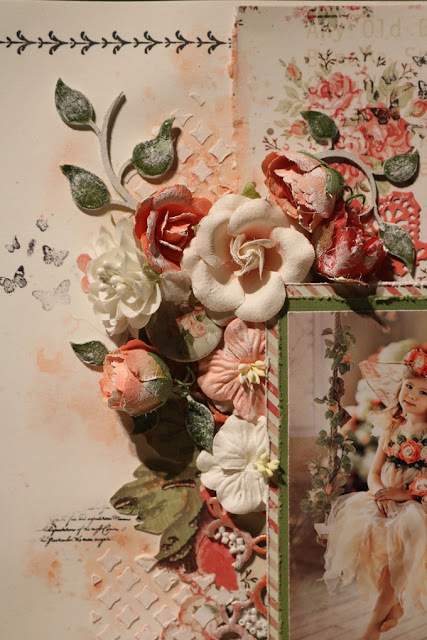 The orange blossoms give the layout a bright happy feel. 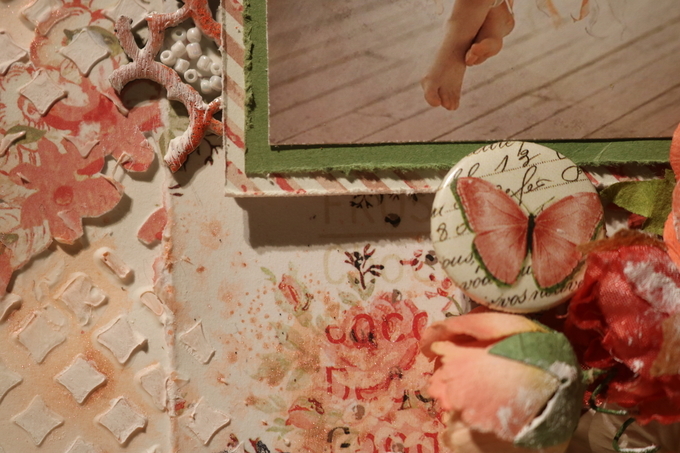 To create a shabby appeal, I lightly brushed the florals with watered down gesso and dried them with a heat tool. 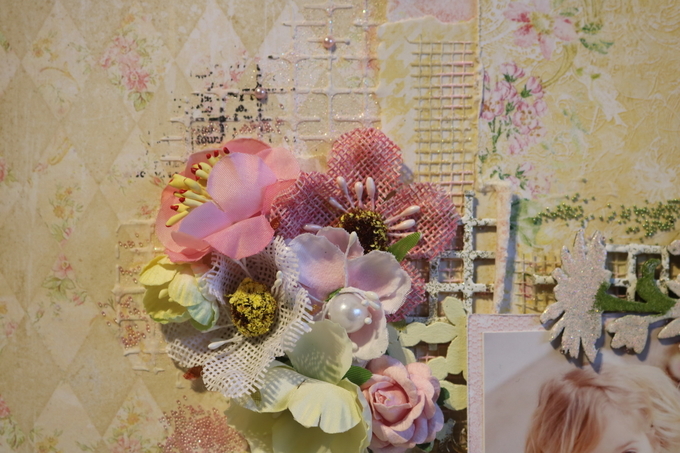 Finally, to frame the focal piece, I mounted it on a canvas collage using a patterned paper and Lace #2, glued to the lower end with collage medium After it dried, I then lightly brushed a coat of white gesso and pale pink. 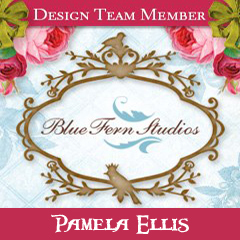 This layout was so much fun to make as pretty Blue Fern Studios products are an inspiration and makes the process amazingly easy. 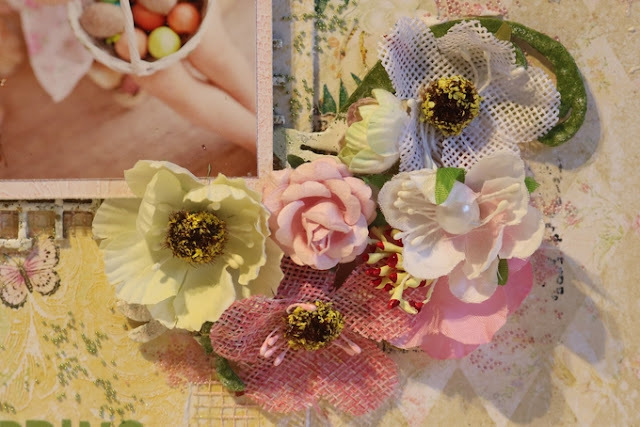 I hope you will make something pretty in the weekend ahead. I'll see you soon and remember to come back for more ideas from the rest of the Design Team ! Wanderlust and is such a fantastic paper collections for this type of project! I simply grabbed a craft envelope, stamped with a beautiful Blue Fern "newsprint" background stamp, added paper layers, plus coordinating adhesive shapes, directions chipboard, and lots of inking on this project. Above is a close-up of the envelope. 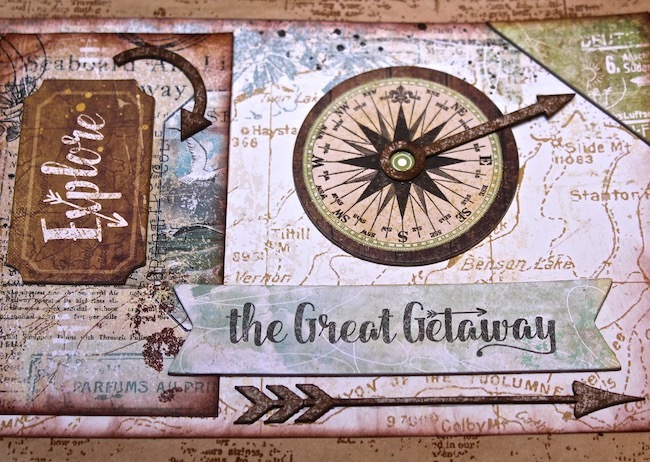 As you can see... lots of distress ink used on here from stamping to chipboard and on the paper edges too. 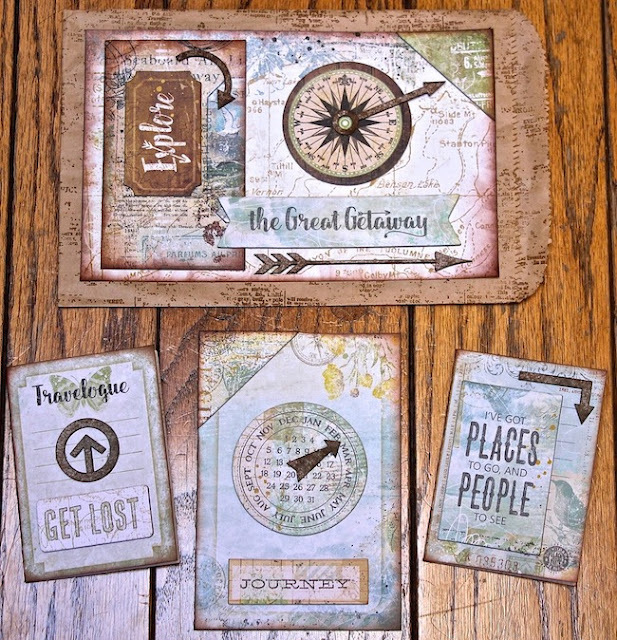 On the 3 little cards, more adhesive shapes and inked directions chipboard. I am very sure I will be using more of this pretty collection post-vacation! Thanks for stopping by to view my project today. Hello hello I am back again with you today on the Blue Fern blog to share another design team project! This month I used the refreshing Amber & Apricot line filled with oranges,browns and yellow! I decided to play with the orange components for this project. 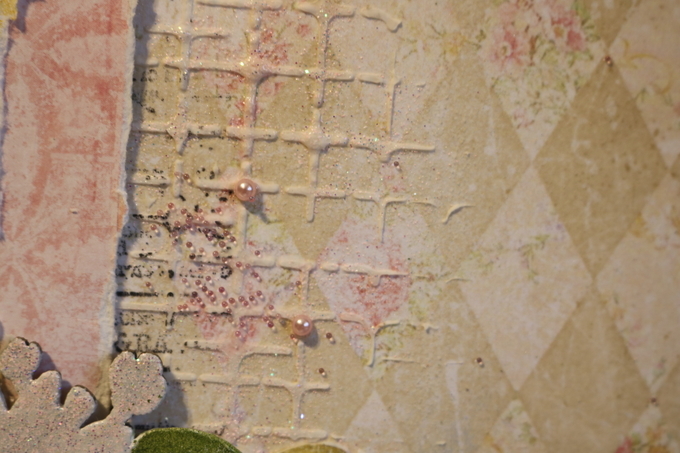 I used a white piece of cardstock as my background and stamped around it with a stamp from the Flutter Music stamp set. 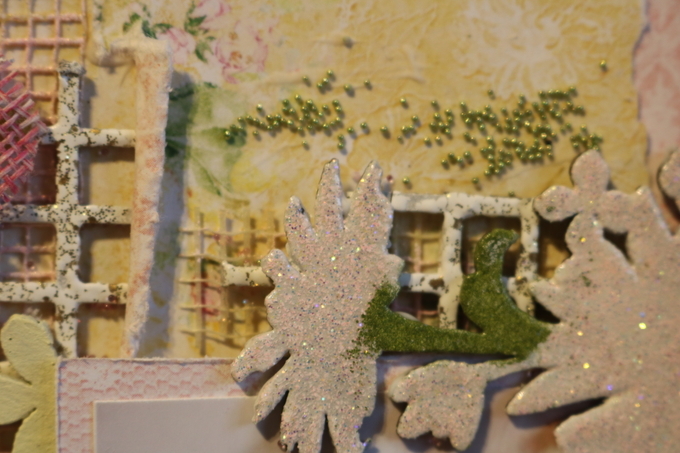 I then covered the page in clear gesso. 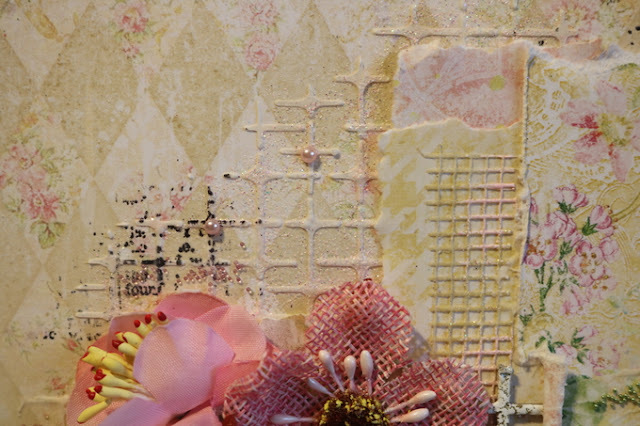 My background consists of some masking and misting using Lindy's Cosmopolitan Pink mist. 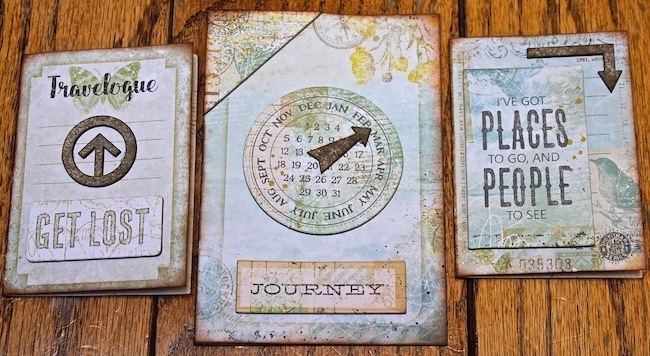 I then did some stamping with some Blue Fern stamps. I fussy cut the large blooms from the A side of Flora and added them to either side of a strip I tore from Joyful. I used Floral Lattic bits chipboard along the sides of my photo and heat embossed them with Bloodorange embossing powder. I also used Chelsea Vines in my flower clusters. 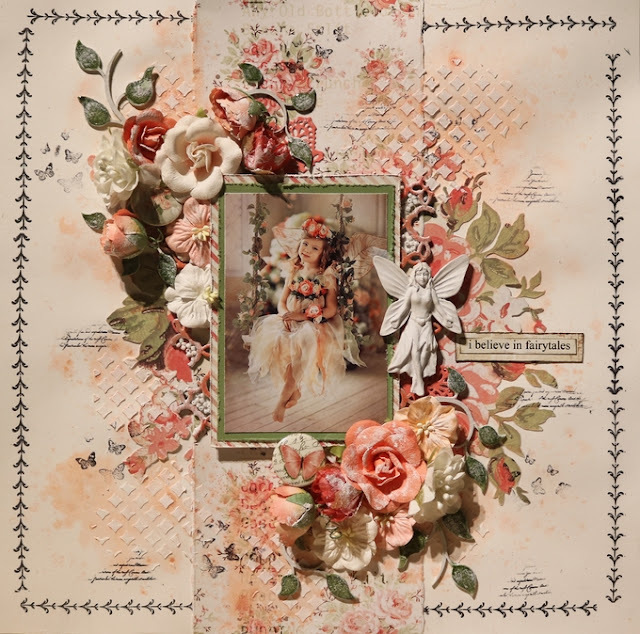 I used Apricot Blooms, Spring Blooms and one other unkown Blue Fern flower in my clusters as well as a few blooms from my stash. A close-up of the top cluster. I added some beads inside of the Floral lattice bits. Thanks for visiting. Hope to see you soon!